You may be familiar with the term 'influencer marketing' - it has been in use for the last few years thanks to the explosion of social media and the popular accounts that rose above the rest. In a nutshell, the concept involves working with social influencers within certain active circles to promote or endorse your brand or services to their growing communities and audiences. In 2017, a whopping 86% of digital marketers utilised influencer marketing as a service to advertise directly to their client’s target audience and it was shown to be a hugely successful aspect of digital marketing services. However, as the biggest influencers continued to grow in popularity, their follow counts shot up, as did their rates for sponsored agreements and endorsements. While not classed as celebrities in the tabloid world, some of the top social influencers on Instagram today offer rates consistent with celebrity arrangements which fall well outside the budgets of many brands and organisations. 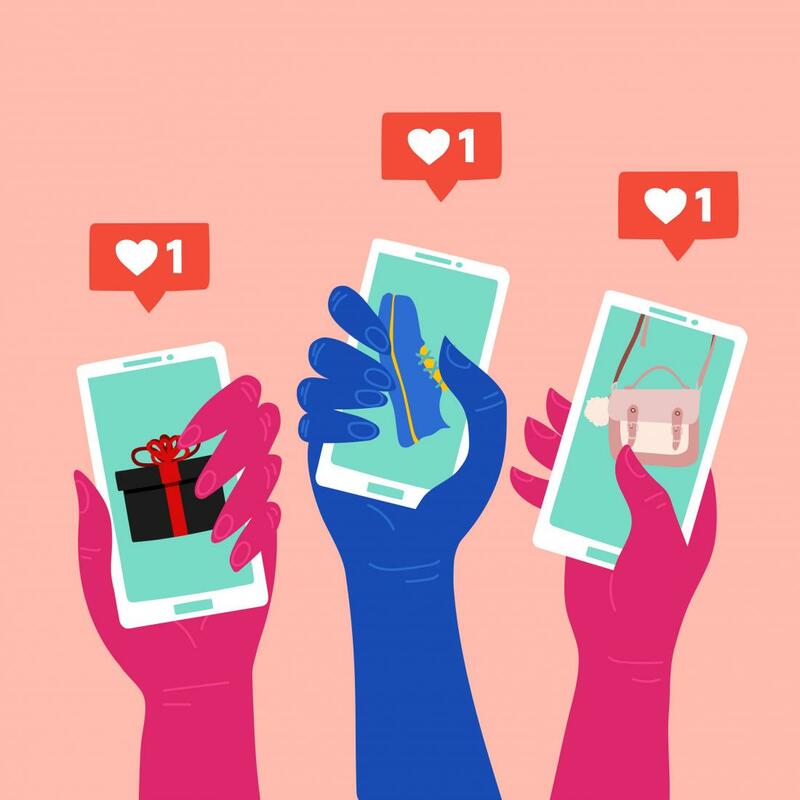 Micro-influencers are a new trend in digital marketing and are similar to the larger, more popular social influencers yet are a little more scaled back with a reduced but still dedicated following - often between 1,000 to 10,000 in number. They tend to have a clear niche and an interactive audience who are more likely to engage in influencer posts and are respectful of the social influencer's opinion. Why Should You Consider Micro-Influencers? While micro-influencers have smaller follower numbers than their larger competitors, they tend to have higher engagement rates and this likely correlates to the fact that micro-influencers have more time to build strong relationships with their communities. Not only were these audiences of micro-influencers more likely to engage with posts, but on average, they are 82% more likely to purchase a product endorsed by the micro-influencer. Where to Start with Micro-Influencer Marketing? If you have a brand, product or service that is already on the market, you may already have some followers or a small user base. Explore your social media audiences and look for existing brand advocates who could offer a potential marketing partnership. Don’t forget to check specific hashtags for anyone creating a buzz around your services as this could help you narrow down the targeted niche. Working with micro-influencers works best as part of an ongoing campaign - approach multiple influencers (while still being aware of your budget) and plan to build up a social media presence with their representation to encourage organic engagements from your target audience. Micro-influencers may soon be the most popular form of influencer marketing, considering their higher engagement rates and greater opportunity for conversions. Would you consider micro-influencer marketing as a digital marketing opportunity for your product or service? If you would like more information on influencer marketing or other digital marketing services, please don't hesitate to get in touch with our friendly, professional team on 01733 890 836 or email us at hello@i3media.net.